Unfortunately, accidents happen. 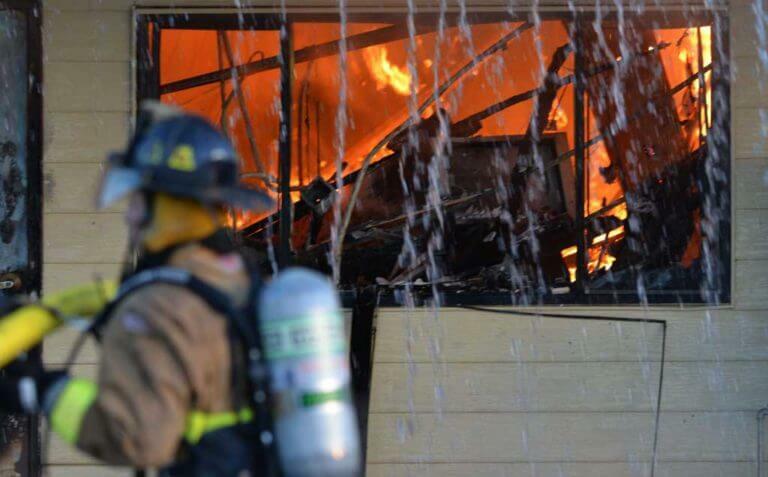 A fire in your home or at your business is a traumatic experience and one that requires your immediate response. Fire damage doesn’t just leave a small amount of cleaning but it can have extensive amounts of dust and debris that is spread throughout the home or office building. It is most likely that the amount of debris ruined by the fire damage is such that your local trash company will not take that debris and this is where you will need a professional company to handle your fire damage restoration. Once a fire does occur on your property, it is extremely important that you reach out to our extremely reliable fire damage clean up company so that we can attend to your fire damage restoration needs as soon as possible. 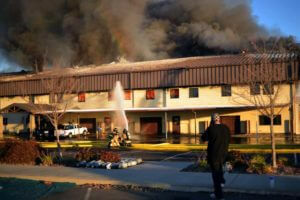 Las Vegas Environmental Pros is trained and certified in major fire damage clean up and restoration. 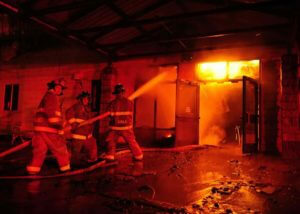 We are there for your fire damage restoration needs 24 hours a day and 7 days a week. 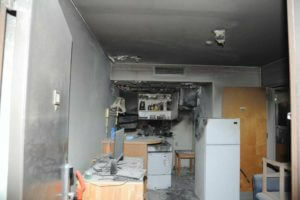 Our fire damage clean up team will be dispatched out to your property immediately and start the massive cleaning task. Once our team is dispatched, the first thing we do is to assess the property and make sure that it is safe to move forward. After the fire department has given us the clearing to access the fire-damaged property, it is most likely that we will not just be dealing with the remnants of just the fire and smoke damage, but there will also be extensive water damage as well from the firefighter's efforts. A complete fire damage assessment will be made at this time. We go to great lengths in the fire damage assessment process as we want to make sure that we see everything that we need to do and be completely prepared once the fire damage restoration starts. There are several steps while doing the assessment and we have a specific checklist for all of our fire damage clean up projects. After the assessment procedure is complete it is very important to make sure that the fire damaged property is safe and secure from others that might try to access the property. From time to time, outside individuals will try to enter a property that is in the fire damage restoration process. They are looking for items that might be able to be restored and are quick to unlawfully retrieve expensive appliances or other valuables that were left at the fire-damaged property. This is why after the fire damage assessment, we take the time to properly board up and or place tarps over unsecured areas that were destroyed by the fire damage. We know this is already an overwhelming situation so we take the necessary steps to give you peace of mind that your home or business will be secure until we start the fire damage restoration. The one thing that we do best is taking complete control of the property and making sure that there is no further damage due to vandalism or any other activities on the fire-damaged property. After the assessment has been done and it is time to start the fire damage repair project, we access the property to remove any items that may be salvaged or restored. We have several restoration companies specializing in different items that we send out to have those repaired. We then start first by removing the excessive amount of water that has remained on the property from containing the fire. 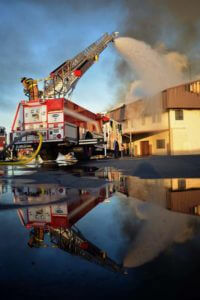 We use several commercial-grade dryers to dry any water damage that may be at the fire damage property. Once the water damage issues are dealt with, we start to dive into the actual fire and smoke or soot damage at this time. All areas of the property that are totally demolished by the fire damage are completely removed at this time. It is then we start to work on the smoke and soot damage. We tackle that issue by using special equipment and techniques that our professional team has been trained and certified. Once the smoke and soot have been dealt with, we then use industrial grade cleaning supplies to clean areas heavily affected by the fire damage. 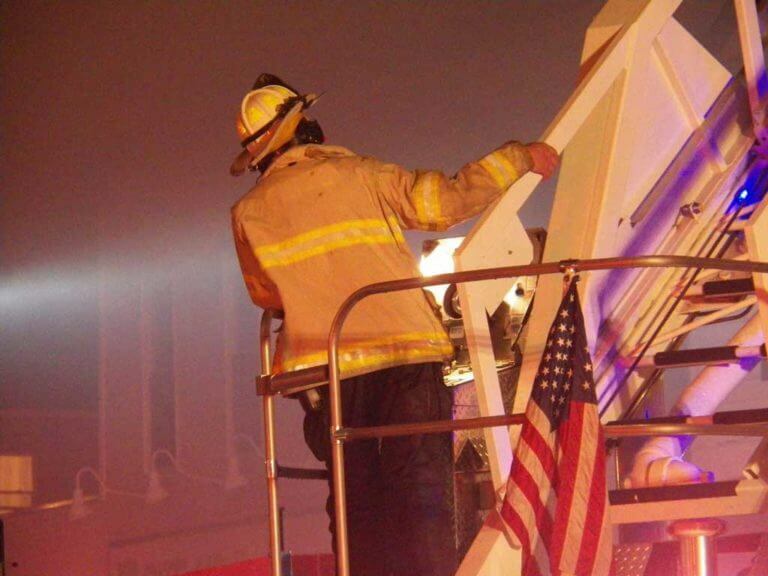 We also utilize special fogging equipment and air scrubbers to help the progress of smoke and odor removal. Our staff is trained in odor removal of items like clothing, linens and other porous material items that might have made it through the fire. In the fire damage restoration procedure we are aware that it is very important to retrieve any and all personal items that were left behind from the fire damage and we do everything possible to get them back in pre-fire condition. We understand that fires are absolutely not planned and more often than not, our fire damage clean up teams are called out before you have the chance to contact your homeowner insurance or business insurance company regarding the approval of a fire damage restoration company. Rest assured that Las Vegas Environmental Pros will assist you in the insurance claim process from start to finish of your fire damage clean up the project. We have a great reputation here in Las Vegas in the fire damage restoration industry. This has allowed us to create great and long lasting relationships with many insurance companies that handle fire damage restoration. This is absolutely one last item that you will have to worry about when you hire us to assist you with your damaged property. We work fast and efficient so that you can get your money as soon as possible. Just knowing that Las Vegas Environmental Pros will handle your complete fire damage clean up from start to finish will let you have some sort of contentment while going through this difficult period of time. Our friendly staff will have constant communication with you at all times during the fire damage restoration period. You will not have to worry about anything as we will be there for you through all the steps along the way. We also specialize in mold remediation if there is extensive water damage so check out our mold removal page here. 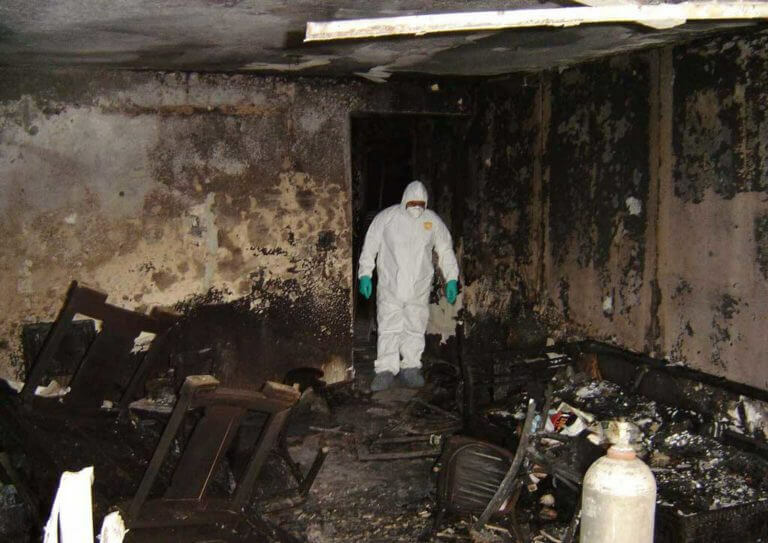 Las Vegas Environmental Pros is proud to serve the Las Vegas valley for over 15 years now for fire damage clean up or remediation, water damage clean up, asbestos removal, mold removal, and lead paint removal. We can handle any and all of your water remediations needs at any hour of the day. If your property has water damage and you don’t know where to turn….we are your experts in water damage clean up. Don’t wait until morning or business hours to call your insurance regarding your water damage. Time is crucial and we will help you with your insurance claims. Give us a call now for your free estimate or send us a note from our Contact Page.